I got an interesting email yesterday asking me to sign a petition to do just that. Help us take Fox News off the air—get the FCC to revoke Rupert Murdoch’s broadcast licenses NOW! The deplorable actions Murdoch has taken to run his News Corp. empire prove we can’t trust him to act in the public interest. Now, a study by Farleigh Dickinson University shows Fox News can’t even claim to inform its audience: its viewers are less informed than those who avoid news outlets altogether! It’s the Federal Communications Commission’s job to consider the character of a media owner when dealing out broadcast licenses, and to label programs as news only when they actually inform viewers. The Murdoch Mafia has failed on both counts, and we have a chance to take them down for good. Save the airwaves from bigotry and corruption: tell the FCC to enforce the law NOW! FEDERAL COMMUNICATIONS COMMISSION: Rupert Murdoch has failed every “character” test available, and the programs under his broadcasting licenses have both been implicated in scandal and have been proven to make audiences less informed, not more. We urge you to revoke Murdoch’s broadcasting licenses immediately, and to take a stand against his corrupt media empire. Actually, I imagine that viewers of Fox News are a whole lot more informed ab0ut recent events in Benghazi than many others. It would be interesting to look up that study from Farleigh Dickinson University. I am not sure just who is behind this petition, but I don’t think they have thought the matter through. First, there is no way that the FCC would revoke all of Rupert Murdoch’s broadcasting licenses. Just imagine the political firestorm that would follow such an act. Second, I wonder if it has occurred to these people that if the FCC did have the authority and will to shut down news networks like Fox, they could just as easily shut down CNN or MSNBC. It might be easier to move against them since no one actually watches them. The point here, that many on the Left seem to have trouble grasping is that you can’t just think of what you or your allies will do with power, you must consider what your opponents will do. I actually think this petition is a good argument for ending the FCC altogether. I am not sure I see the need for a government commission to regulate the content of our communications media. I understand that they have been responsible for allocating transmission frequencies when radio and television were new, and the broadcast spectrum was deemed to be a scarce and public resource. I am not so sure that concept applies in our digital age. It seems to me that the powers that the FCC has to deny broadcast licenses might well be used by the government to silence dissenting opinions. In fact, Richard Nixon seriously considered threatening networks with the non-renewal of their licenses, just as these people want to do with Fox. 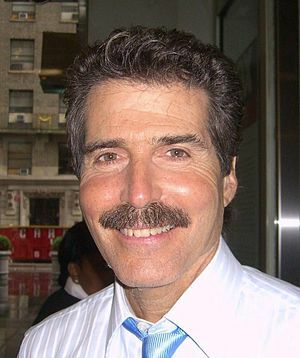 I always like watching John Stossel back when he was the consumer affairs correspondent on 20/20. It was always fun to watch him expose scams and con artists. Since then, he has moved on to Fox News and his political views have changed dramatically from the typical liberalism of most people in journalism to strong Libertarianism. He talked about this transition in his first book Give Me a Break. What caused Stossel’s conversion? As he tells it, in his work as a reporter, he made some observations that caused him to change his worldview. It is not often that someone will do that, especially a person with a career in the public eye. Most people would rather die than ever admit they were wrong, or change long held beliefs. John Stossel seems to be one of the few honest and courageous enough to do so. Stossel’s first discovery was that most business people are not, in fact, crooks. This may seem counter-intuitive to anyone raised on Hollywood’s anti-business and anti-capitalist fare, but Stossel realized that the great majority of people who own a company try to run it honestly and ethically. The scam artists he made a career exposing were in the minority and they were never very successful in the long run. Here, Stossel stumbled on an important aspect of a free market economy. In order for a business to flourish, it has to provide customers with a good quality good or service at a price they are willing to pay. A company that does not do this will, sooner or later, fail, unless it convinces a government that it is too big to fail. The classic example here would be the American auto industry. After World War II, the big three auto makers; Ford, GM, and Chrysler had a near monopoly on the US market. They began to get lazy. They began to sell poor quality cars to the American consumer, thinking that the consumers had nowhere else to go. They were wrong. 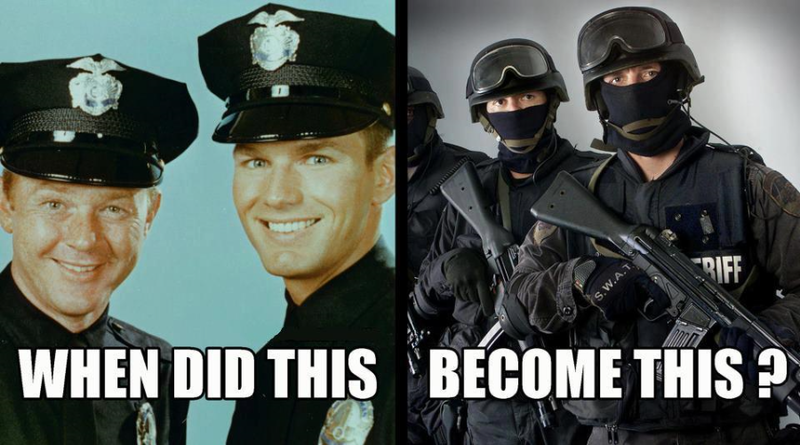 Now two of the three are owned by the government. An example of a business that does thing right is Amazon.com. My Kindle stopped working yesterday. The screen developed large patches that seemed frozen. I called their support center and they said they would ship me a replacement. There was no trouble. I did have to pay $69 because the warranty had run out, but considering that buying a new one would have cost me $139, this seemed a bargain. Why did Amazon do that. They might have made more money by telling me “tough luck” and expecting me to buy a new Kindle. Then again, maybe not. There are other people out there selling e-readers. I suppose Amazon is making a profit out of the deal, but even if they are not, it is worth taking a loss to keep me a satisfied customer. Imagine, if Amazon.com had a monopoly on electronic publishing. Better still, imagine if this monopoly were enforced by law, or that Amazon.com were a government agency. Would they care about making me happy? Probably not. Just look at our public school systems if you have any doubts about how well governments respond to consumers. This is not to say that business people are all wonderful or even especially virtuous, much less that they are somehow superior to people who work in government. They are not. Nevertheless, anyone in business has a certain incentive to maintain a good reputation that people in government do not. This is why the free market is far, far superior in meeting people’s needs than any centralized planning agency. The other thing Stossel discovered was that government regulations designed to save people from being taken advantage of often hurt the very people they are meant to help. The simple truth is that the crooks will always be able to game the system for their own advantage and care little whether or not they are following the rules. Honest people who are obliged to comply to an ever more complex system of rules and regulations find themselves at even a greater disadvantage against the unscrupulous. And one should keep in mind that it is all too easy for the powerful and well-connected to change the rules to benefit themselves against their less fortunate competitors. An inconvenient truth is that big business is not often really opposed to big government, if big government can help them crush the competition. Remember the anti-trust suit against Microsoft? Bill Gates’s enemies relished the opportunity to use the government to to take him down. I would also consider the efforts to curtain the production of methamphetamines in this light. Here in Indiana you have to show an ID to buy any cold remedy that contains pseudo ephedrine, an ingredient of methamphetamines. There are limits to how much you can buy, etc. This is an inconvenience to anyone suffering from a cold but has it worked? It seems that the police are discovering a new meth lab in our county every week. Obviously the meth dealers are having no trouble getting around the law. I don’t get to watch John Stossel on television much any more, but I have read his first two books. He has just now come out with another one called No They can’t. Maybe I’ll download it when my kindle arrives. Rick Perry has dropped out of the Presidential race and has endorsed Newt Gingrich. From Fox News. Rick Perry dropped out of the presidential race Thursday and endorsed Newt Gingrich, a move that comes just two days before the South Carolina Republican primary. I’m surprised he has lasted this long. Meanwhile Gingrich has been having troubles of his own, namely his ex-wife Marrianne giving an interview on ABC news. Newt Gingrich lacks the moral character to serve as President, his second ex-wife Marianne told ABC News, saying his campaign positions on the sanctity of marriage and the importance of family values do not square with what she saw during their 18 years of marriage. In her first television interview since the 1999 divorce, to be broadcast tonight on Nightline, Marianne Gingrich, a self-described conservative Republican, said she is coming forward now so voters can know what she knows about Gingrich. In her most provocative comments, the ex-Mrs. Gingrich said Newt sought an “open marriage” arrangement so he could have a mistress and a wife. She said when Gingrich admitted to a six-year affair with a Congressional aide, he asked her if she would share him with the other woman, Callista, who is now married to Gingrich. I guess the moral is that if you want to run for president, you shouldn’t ask your wife for an “open” marriage. Newt is supposed to be really smart, but I doubt many married men are foolish enough to suggest something like that to their wives. Rush Limbaugh: Newt Gingrich asking his wife for permission to cheat is “a mark of character.” (skydancingblog.com) Rush usually has more sense than that. Of course he’s been married four times, so maybe not.